The book and music publishing industries are among the oldest industries out there. Major shifts in business models have occurred in both industries since the turn of the century. Digital music sharing and eBooks have led to a shakeup in the entire publishing industry. Coming from a real pioneer in the publishing industry a new concept is about to be revealed. A never before seen fusion of the written word and the glorious melodies of music is about to hit the streets. Silk announces her arrival on the big stage with the first ever book with a soundtrack. In releasing this book Silk realizes one of her big ambitions, to rise above her competitors. Always full of innovative ideas backed by decisive action, Silk caught on to the fact that record companies and book publishers just weren’t thinking outside the box. She sought to take urban literature interactive by exploring the possibility to create a combination of the two. The result is an explosive and unique perspective of life from the man and woman on the street. Through her book she talks directly to people in everyday life situations trying to make a breakthrough and be something bigger. 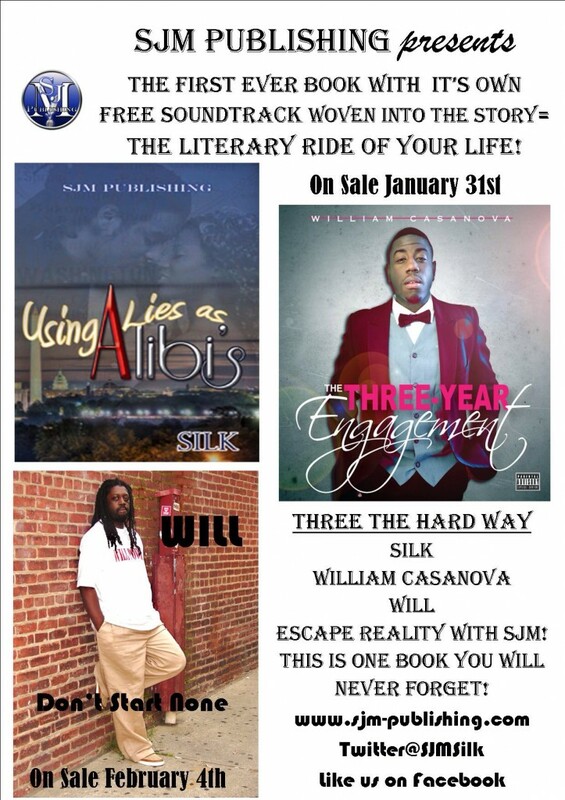 SJM Publishing bring you the future of urban storytelling. Urban lit has just gone interactive! A book with a soundtrack- Sheer Genius!! !